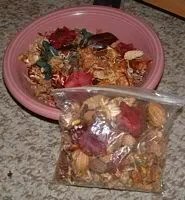 A few months back I ran a post on the basics of making your own potpourri. 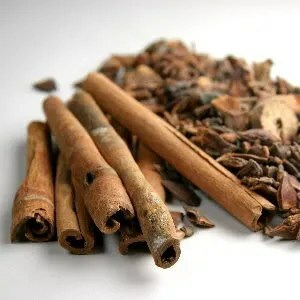 Admittedly, there are several methods of making potpourri, the easiest being the “dry method” and the most lasting and deeply scented, “the wet method”. Both will work in the short term. If you just want some lovely potpourri to last a weekend when guests are staying or you might need it to freshen a closet that has gone stale, then the dry method is quick, painless and effective. 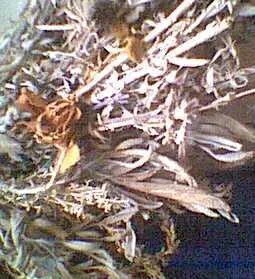 For those of you who are more dedicated to the craft or who would like to start making potpourri to sell or give as gifts, I will run a post in the near future on the detailed process of the “wet method”. With the holidays coming up and finances being tight, I am trying to run some posts on homemade projects you can do for little money that will be lovely during this time of year. Handmade potpourri can give beauty and aroma to your home while entertaining this season and you don’t have to keep buying new. Also, consider making up some really nice stuff, bagging it and giving it as gifts. This has zero carbon footprint, is light on your wallet and says something special to family and friends. So if you are interested in learning how to make this lovely stuff and make it to your own preferences, such as certain colors or scents, then keep reading. I have some easy recipes for you. Dry the Rose Petals until mostly dry and leathery. Do not dry to a crisp! When they are leathery and mostly dry, begin to layer them into the Crock or Jar. Between each layer, sprinkle in a fine dusting of both kinds of Sea Salt, interchanging as you go. Alternate Salt and Petals every 1/2″ of Petals. Stand the Crock in a dark, dry, well-aired place for 10 days until caked together. If it begins to froth, stir daily and allow to ferment for an additonal 10 days, or until “caked”. 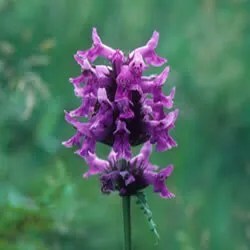 Break up the petals into small pieces and mix in all of the other ingredients, except the Orris Root. Seal the container again and leave for a full 6 weeks to “ferment”. Stir daily. Add in the Orris Root after the 6 weeks and reseal for 2 more weeks, to complete the blending. After 2 weeks, you can transfer the Potpourri to decorative containers or jars for display. When the mix is not on display, you should return it to a jar or container with a stopper or lid. It should be kept covered in a warm, airy place when not in use. 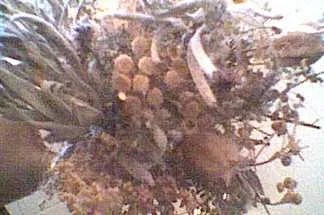 This Potpourri will retain it’s scent for years if kept carefully in this way. Gather flowers, petals and leaves on sunny mornings throughout the Spring or Summer and dry them carefully and slowly, away from direct heat. An airy, shady space is perfect. They will shrink down to about a third of their original quantity. Store as they dry in seperate, airtight containers. 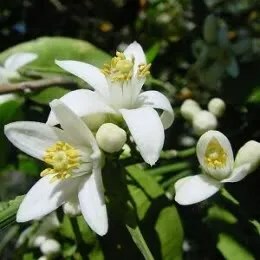 In the Fall, as all the flowers have been gathered, rub down a large Metal or Glass Bowl with the Oil of Cloves and tip in the first eight (8) ingredients above. DO NOT USE a plastic or wooden bowl. These will absorb the oil of Cloves and retain that smell FOREVER. Mix the Flowers and Herbs around with your hands, allowing them to cover lightly with the Oil of Cloves. Add in the next 13 ingredients. Mix these in together well, shaking and stirring to make sure they are mixed and not “clumping”. Add in, at the last, the Oil of Rosemary. Store the mix in the Crock or Jar, tightly stoppered or lidded, for 6 weeks. You should stir the mix every other day with a wooden spoon, checking the scent as you go. 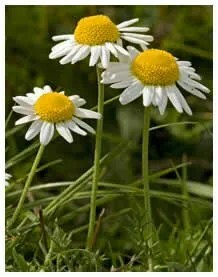 Be sure to allow this mix to blend and mature, leaving as long as possible or until the scent is very strong. Once the mix smells strongly (usually after about 6 weeks), you may tip it into Potpourri Jars with well-fitting lids and open and use them as needed. Gently combine the flowers and leaves, then mix in the spices. Blend it all together carefully by using your hands. After mixing the blend well, seal it and store it in a warm, dry, dark place to “cure” for 6 weeks. After 6 weeks, remove from the container and shake or stir well until it is crumbly but not “caked” together. Shake it out into glass jars or bowls for display. You may layer this Potpourri with certain fresh Herbs or Flowers if you like. Lavender is especially nice. Mix all the ingredients, except for the Orris Root, together in the bowl. Do not use a wooden or plastic bowl, as these absorb essential oils and will retain the smell forever. Make sure you mix the essential oils in with the herbs and spices very well, stirring to spread them out among all of the ingredients and not permit it them to clump. Tip the entire mixture into a large plastic bag, add in the Orris Root and shake well. Leave in this bag for several weeks, allowing the mixture to mature. Shake it occassionally, mixing up the oils and herbs and breaking up any clumps. After several weeks, tip the mixture into a suitable display bowl or dish. Remember that essential oils can end up spoiling finishes so do not allow to spill on wooden or laquered table tops. Mix all of the flowers and leaves together, stirring them and blending them with your hands. Once well mixed, you should pour the mix into the Crock or Jar and stopper tightly. Leave in a dry, airy place out of the sun for 6 weeks to “cure”. At the end of 6 weeks, open the Crock and stir the mix. Blend in the Roots. Shake them down into the mix. Stopper and leave the blend overnight to “age” a little more. Choose a pink or yellow bowl or glass container to display this Potpourri. 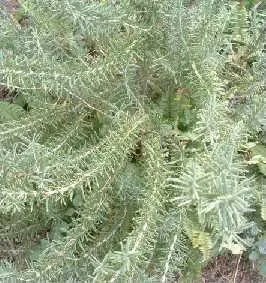 The scent is strong and long-lasting and can have an even longer life if it is kept in a closed container when not in use. Dry the Rose Petals until they are leathery. Mix the Block Salt and the Table Salt together. In a Glass or Earthenware Container, make layers of petals and salt, beginning and finishing with the petals. Cover and leave in this Crock or Jar for 10 days. This should not be near heat but preferably in a dry, airy room out of the sun. Stir this mixture each day, mixing in the scents and preventing “clumping”. The petals will ferment and by the end of the 10 day period, they will resemble a crumbly “block”. Break up the petals and stir in the spices, cover and set aside for another 6 weeks. Stir this frequently, mixing up the scents and textures. 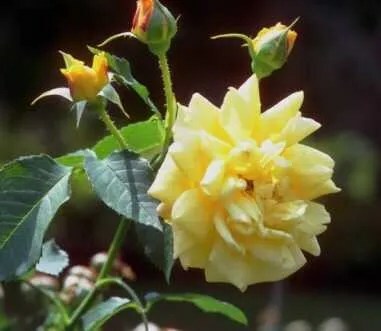 At the last stage, in the last few days, stir in the Oil of Rose. 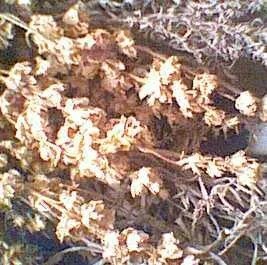 After a full 6 weeks, you may transfer the dry Potpourri to bowls or containers. Scatter a few of the dried Red Rosebuds on top of each bowl. Mix flowers and leaves together thoroughly by blending with your hands. Toss and mix in the plants until the colors seem well distributed. Leave out the Oils and the Oakmoss. Place the mix into the Crock or Jar and stopper it. Shake it really well and then place it in a warm, airy, dark area and leave for 6 weeks. Shake often during the 6 weeks but do not open the jar. After the 6 weeks, open the Crock and add in the Oils and the Oakmoss. Shake really well to evenly distribute the blend. When you have mixed in the oil to the bottom of the jar, stopper it again and leave it for another 2 days. Shake frequently during that 2 day period. After 2 days, remove the blend and place it in jars or bowls for display. Cover the Foam Floral Balls with Clear Floral Glue. Quickly, before the glue dries, roll it in the Potpourri. Roll over and over until the ball is completely covered. Where the Potpourri seems loose or shaky, hot glue in enough Clear Floral Glue to tack it down. Where the glue seems to “show”, use the lightweight floral pins to tack down larger leaves or pods to cover. Once you have a smooth, overall Potpourri appearance with no pins, glue or foam showing through, the ball is correct. Roll the ball in the Essential Oil. DO NOT USE TOO MUCH. Once this has dried, tie the Satin Ribbon around the ball and leave a length for hanging. This ball can be used in mobiles, to scent rooms from overhead or wall hangers, can be set out on display in large bowls or jars or even used in larger craft items. I have several and they look really nice on display. Mix all of the flowers together, mixing really well by using your hands. Do it gently so as not to destroy their integrity. Leave out the Rosebuds. Mix the flowers by tossing until all the colors and shapes are well mixed. Allow to dry like this for 2 days in the fresh air, covered lightly by a towel or paper. After 2 days, the flowers should look a little limp and “leathery” but they should not be crisp. At this stage, move them to the Crock by the handful, still being gentle and careful to get a good mix. As you complete about 1/3″ layer of flowers, sprinkle in a good layer of Sea Salt, mixing both the coarse and fine grounds evenly. Layer flowers and salt in this way until you have used all of the flowers. Cover the Jar or Crock and set aside in a warm, airy and dark place away from heat and out of the sun. Leave this way to “ferment” for several weeks. It will go through a “soupy” stage and then reduce to a “cake”. Leave for 6 weeks and then check it. If it is still in the “soupy” stage, restopper and leave for another 3 weeks. When it is like a “cake”, remove it from the container. Break up the “cake” and mix it really well. Add in the dried Rosebuds and distribute evenly. Shake and mix until it is mixed really well and no longer a “clump”. Once it is well mixed and seems loose and aromatic, it is ready for use. If you keep it in a covered or stoppered container between uses, this scent will last forever. It is nicely displayed in glass bowls.